The inspiration behind the creation of the POWEs series is to save endangered wildlife and to instil in children a love for wildlife and wild places. I firmly believe that if children fall in love with wildlife they will grow up wanting to protect it. 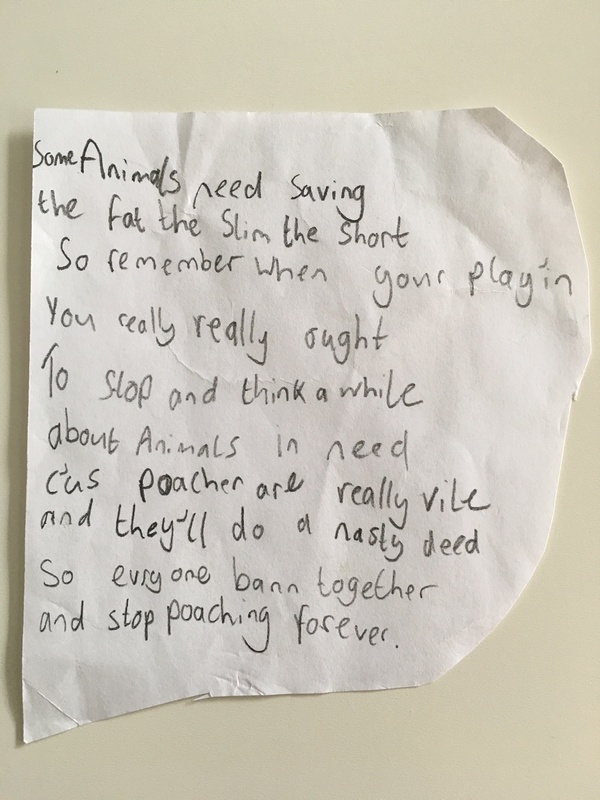 So when I received a beautiful poem, by a little girl who is most definitely a POWE, I was incredibly touched and encouraged that the POWEs series of books will make a difference, not only in the funds raised for wildlife charities but in the children they inspire. Thank you Amelie. I absolutely love your poem! Keep on writing and keep on loving animals. Together we can all make a difference. Lovely poem, Amelie. You are a kind and loving girl. Keep fighting for the animals. Me too. It’s beautiful isn’t it! How wonderful to be able to inspire children to write poems. Thank you for the work that you’re doing with the POWEs. Thank you Kris! You’ve made my day.